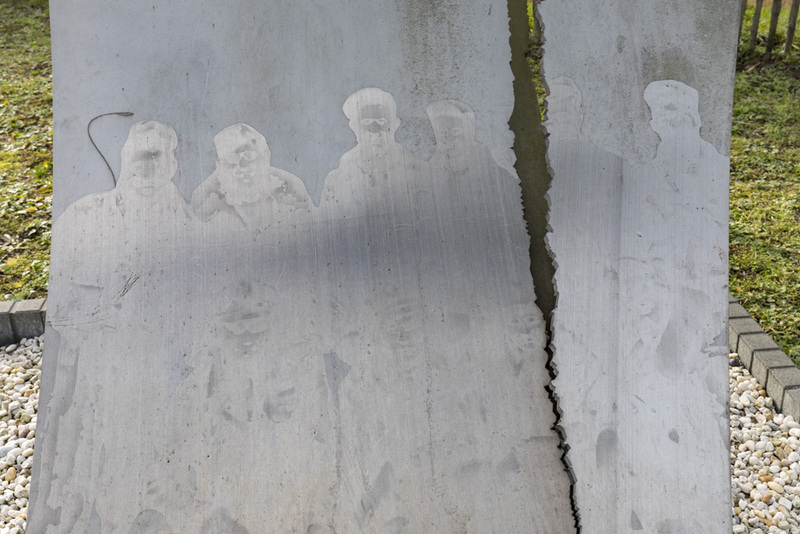 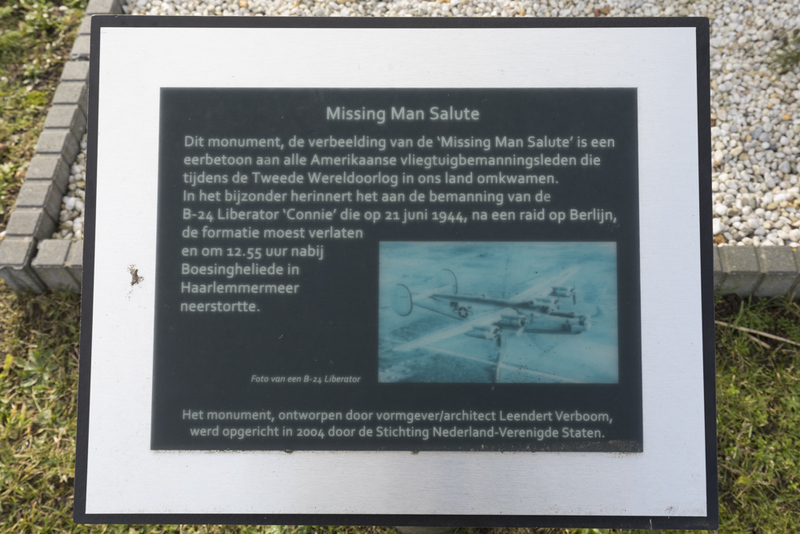 This memorial depicting the 'Missing Man Salute' honours all American air crew who lost their lives in the Netherlands during World War 2. 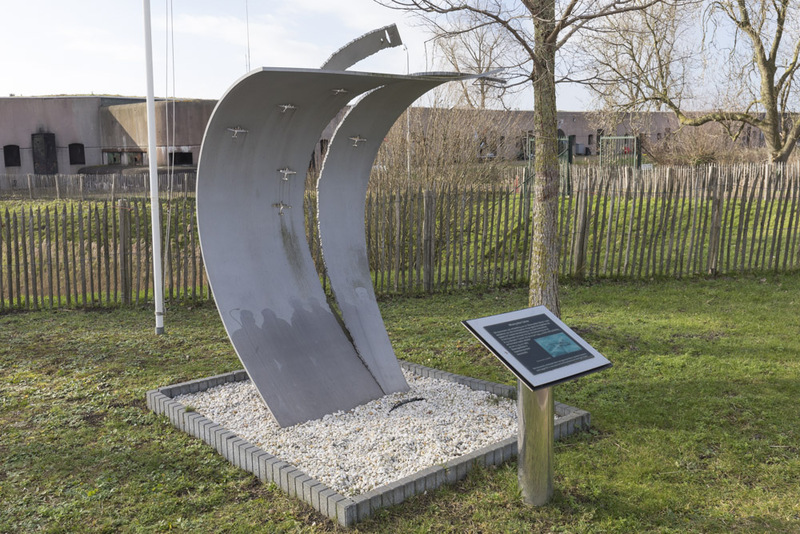 In particular it commemorates the crew of B-24 Liberator 'Connie' that crashed close to Boesingheliede in Haarlemmermeer after it had to leave its formation following a raid on Berlin on 22 June 1944. 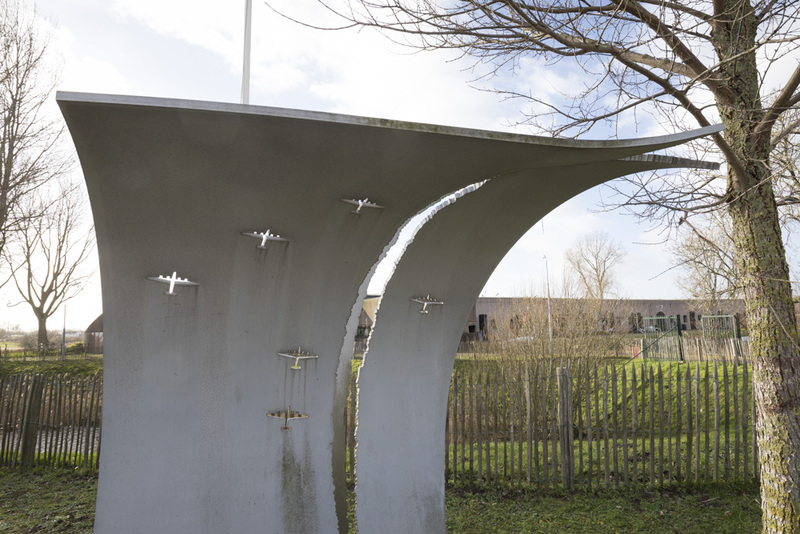 The memorial, designed by designer/architect Leendert Verboom, was erected by the ‘Stichting Nederland-Verenigde Staten in 2004’.